It’s no secret that I am a MASSIVE Datsun Z fanatic. I grew up surrounded by all things Z. Hell, I even came home from the hospital in a Z. Perhaps that explains why I’m so consumed with this commercial that was released when I was still in diapers. I wrote about the car (and the commercial) three years ago at TTAC. 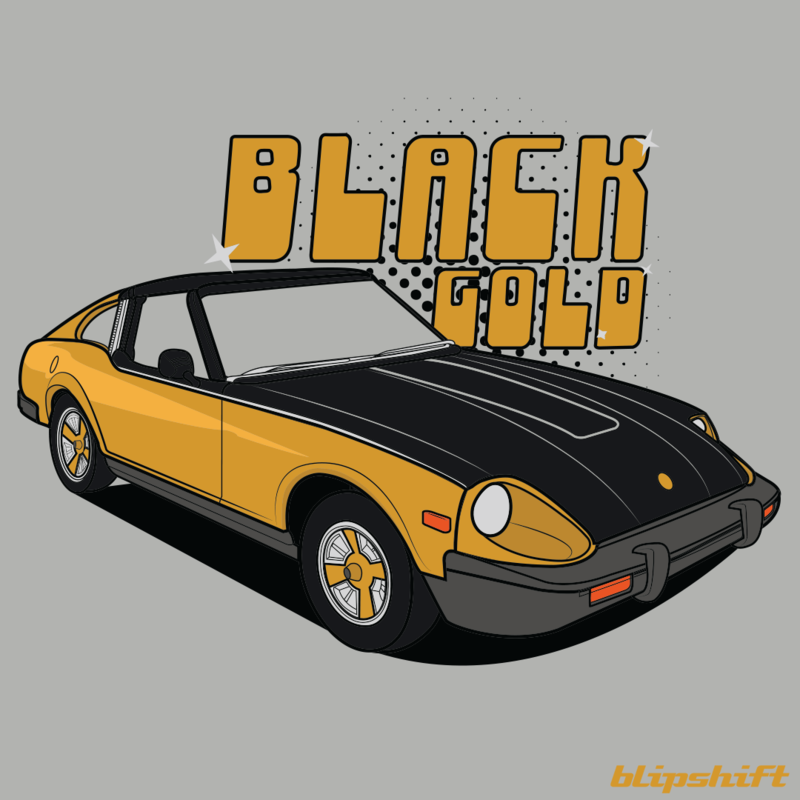 Last year, I submitted a “design idea” to Blipshift, the internet car t-shirt depository and financial black hole for car people, revolving around the lovely BLACK GOLD commercial and limited-edition Z. Head to Blipshift and buy a dozen! FYI, I don’t get a commisson from the sale of the shirt – I do get a free shirt, and a credit toward more shirts…but I know that everyone needs BLACK GOLD in their lives. Oh, and more about my Z obsession soon. Next Doppelgängers? Or Beard Envy?